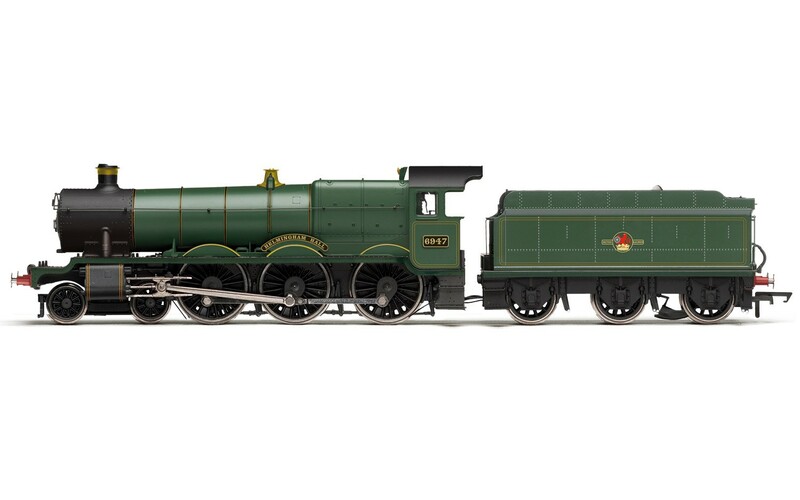 Hornby Late BR �Helmingham Hall� Hall Class. Classic GWR locomotive. First in class introduced in 1924. Mixed Traffic locomotive. Over 300 built. DCC Ready. 3 Pole motor with flywheel, Livery: BR Lined Green, Class: Hall, Wheel Configuration: 4-6-0 . Part of the �design clever� range. Minimal decoration. Smooth running.